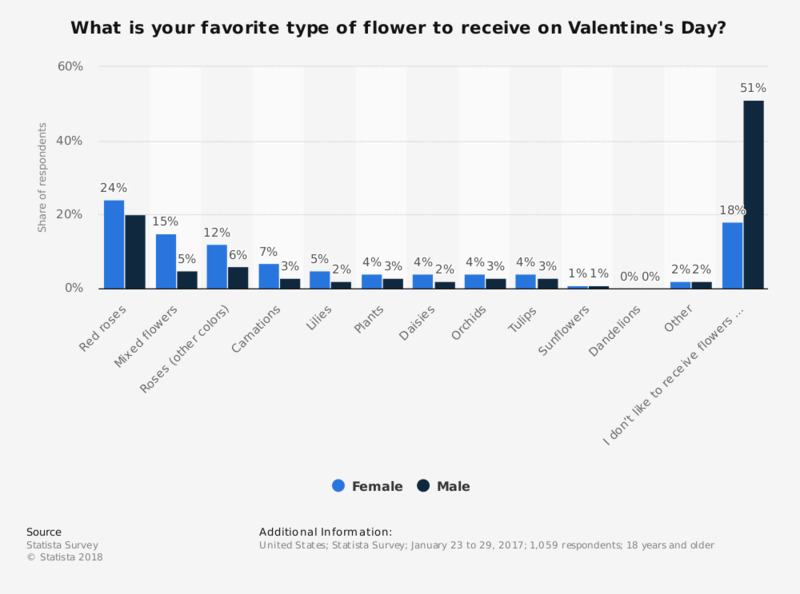 This statistic shows the results of a survey among Americans in 2017 regarding the types of flowers they like to receive on Valentine's Day. The results were sorted by gender. 24 percent of female respondents stated they like to receive red roses. How did you approach your Valentine? What do you give your partner for Valentine's Day?